This site has a variety of handsome wallets, passport covers, duffle bags, messenger bags, dopp (shaving) kits that could double as tool bags, etc. Prices rance from $25- $150. Thanks to Cassie for this motherlode! Go ahead: Toot your own horn. 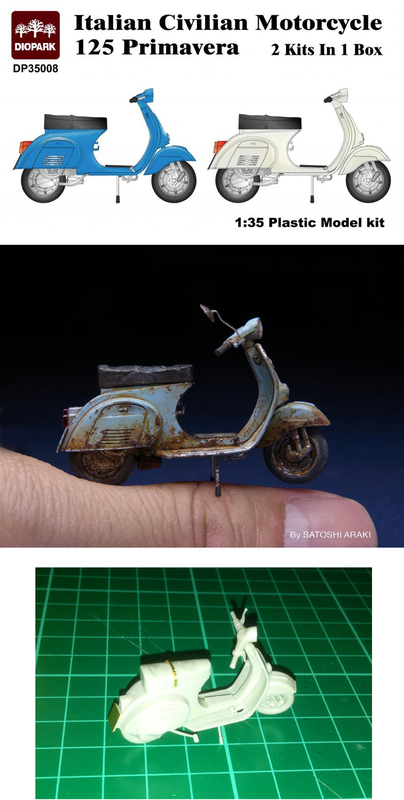 Cassie found some very unusual Vespa keychains and lighters. Just two of the many styles featured are shown here. Prices range from â‚¬13,50 to â‚¬18,50. 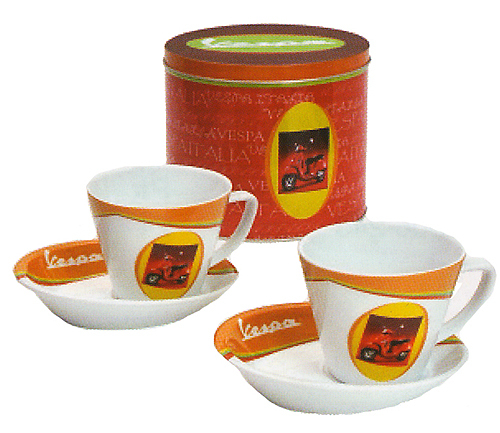 This nice gift set is made by Toscano and is $13.30 Canadian dollars. 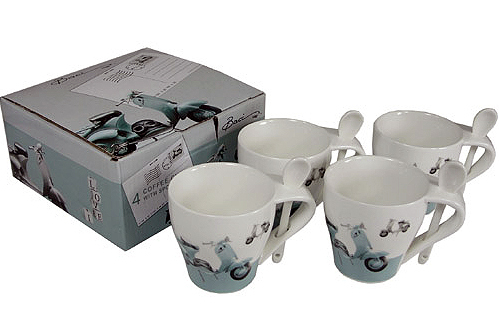 This wonderful $18.99 gift boxed set comes with 4 espresso cups and 4 spoons that slot into the handle.